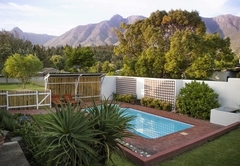 33 Berg Self Catering is one of the Swellendam guest houses and provides accommodation in 3 guest rooms for tourists visiting the Cape Overberg region. 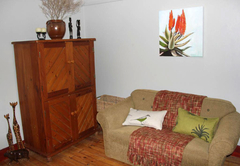 Unwind in our quaint, Cape Country style home where we offer semi self catering accommodation in three rooms. 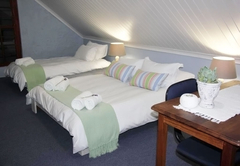 Choose between two elegantly furnished double rooms or a charming attic. 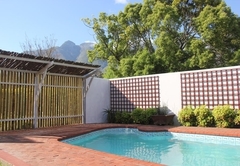 The pool, shady veranda and picturesque neighbourhood complete the picture for an unforgettable stay. 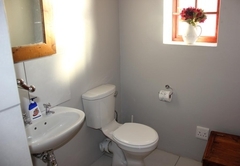 Rooms have en-suite bathrooms and semi self catering facilities. 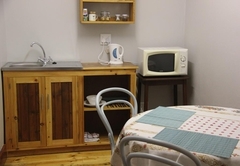 There is tea / coffee making facilities with home baked rusks, a fridge, microwave, basic crockery / cutlery and a sink. 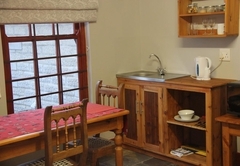 The units have a TV with DStv and free Wi-Fi. 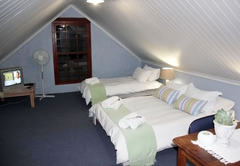 The room has a double bed and a small dining room with table and chairs. 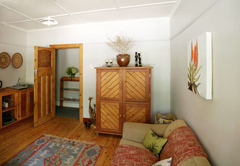 This large family room has both a double and single bed. 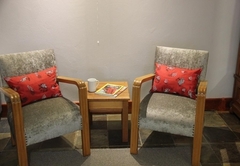 It is furnished with comfortable chairs. The bathroom has a shower. There is also a dining table to enjoy a meal at. This attic room is accessible via a steep stair case. 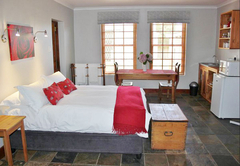 It is furnished with a double bed and one single bed. 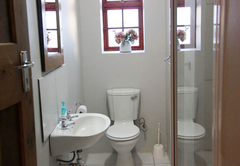 The bathroom has a shower and there is a kitchenette. The verandah is furnished with a picnic table. 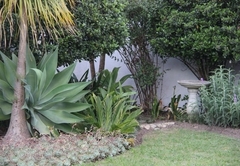 Explore the Marloth, De Hoop and Grootvadersbosch Parks. 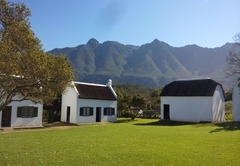 The Bontebok National Park is South Africa's smallest park and is just 5kms from Swellendam. 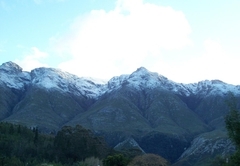 Travelling on surrounding gravel roads you will find whitewashed cottages and barns, eucalyptus trees lining farm roads and ever-changing landscapes depending on the season. Spacious room with wooden floor. 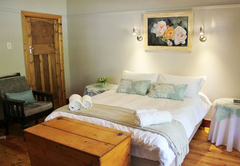 Luxury double bed, comfortable chairs, flat screen TV (DSTV bouquet). Bathroom with shower. 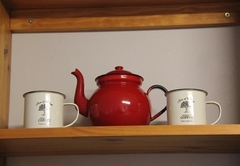 Kitchenette with kettle, microwave, fridge. Small dining room table with chairs. Free Wi-Fi. Large family room with slate tile floor. 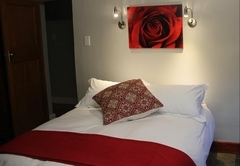 Luxury double bed, plus a single bed, comfortable chairs, flat screen TV(DSTV bouquet), fridge, microwave, kettle, dining room table with chairs. Bathroom with shower. Free Wi-Fi. Attic room accessible by steep stair case. 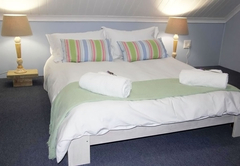 Double bed and 1 single bed. Extra bed on request. TV(DSTV bouquet). Bathroom with shower. Kitchenette downstairs with kettle, fridge, microwave. Picnic table on veranda. Table top oven with 2 hotplates. 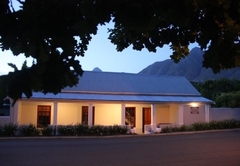 Response time33 Berg Self Catering typically responds to requests in 5-10 minutes.